If you like to entertain company in your home, you likely already know the pivotal role that food plays in any house party. Dining is the cornerstone of being a good host or hostess, and if you’re trying to host a barbeque or outdoor dinner party, you already know the enjoyment that dining outside can provide. Unfortunately, running back and forth between a hot kitchen and your outdoor guests can be a total hassle. 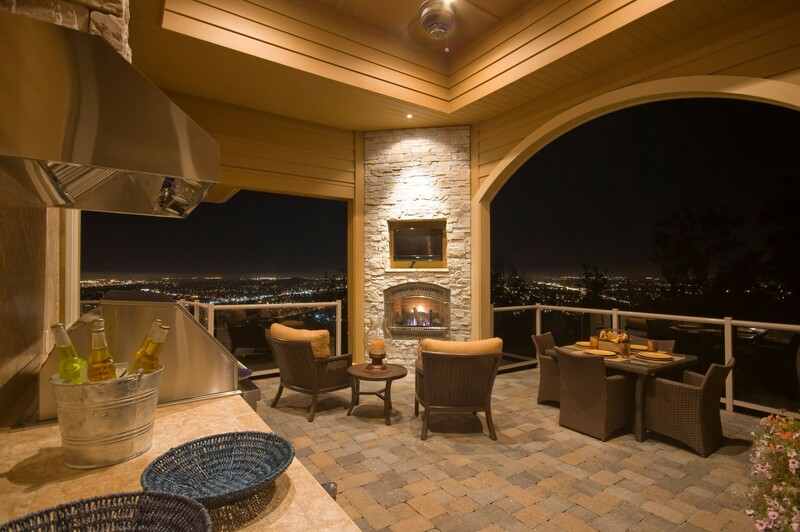 An outdoor kitchen can help remedy this problem, giving you a new venue in which to cook and enjoy the company of your guests at the same time. Consider these essential additions to your outdoor kitchen–and take your hosting game up a notch this grilling season. 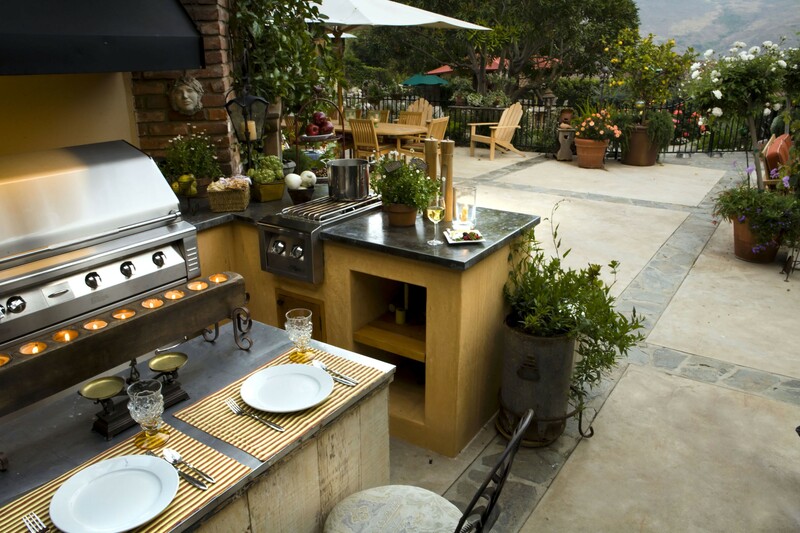 The grill is arguably the most essential feature of your outdoor kitchen. This is the tool you will use the most, and while you should invest in the best possible grill your family can afford, you should try to avoid getting over excited about all the bells and whistles. Consider what you need, and what you merely want. Do you really need a side burner or rotisserie kit? Most mid-range models will give you upgraded options, like infrared technology, access doors, and trash bins, without requiring you to pay an arm and a leg. 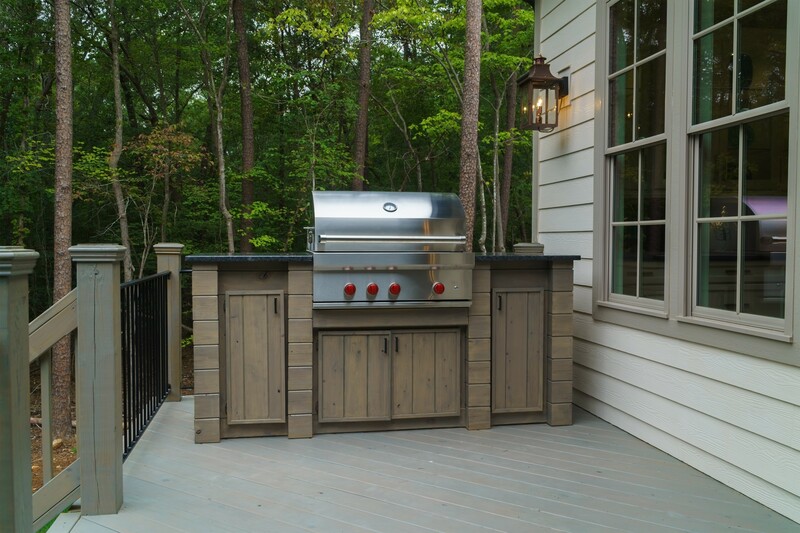 Gas grills tend to be the most common types of outdoor kitchen grills, but you might also choose to include a charcoal grill or fireplace. These won’t be quite as spacious or efficient as a gas grill but are excellent options to add as supplements. While a grill will get you by in most situations, adding a few unique accessories and features to your outdoor kitchen definitely can’t hurt. Fireplaces, pizza ovens, warming trays, and beer taps are chic options for making your guests feel truly pampered when they are dining at your home. A basic refrigerator and sink is a must, but you can upgrade with additional features if you so choose as well. Consider a pan that hooks to a hose and adds an under-counter beverage fridge to keep your beer, wine, or other drinks nice and chilled. Other options include ice makers, wine coolers, or kegerators to provide your guests with access to a kind of beverage whenever they are in the mood. Storage is an integral aspect of successful outdoor cooking. Consider installing under-the-counter drawers and pull out shelves so that you have access to all of your spices, cooking utensils, and dishes while you are entertaining outside. Another item that goes hand-in-hand with storage areas is the countertop. You will need at least twelve inches of food preparation space on either side of the cooking surface for a fully functional outdoor kitchen. Sure, you can prep your ingredients inside, but doesn’t that take away from the whole point of having an outdoor kitchen? Consider incorporating ceramic tile with latex grout for the most weather-resistant outdoor countertops. We know, this isn’t the most glamorous item on the list, but it’s a necessity. Safety comes first and making sure your guests stay safe while dining outside is vital. 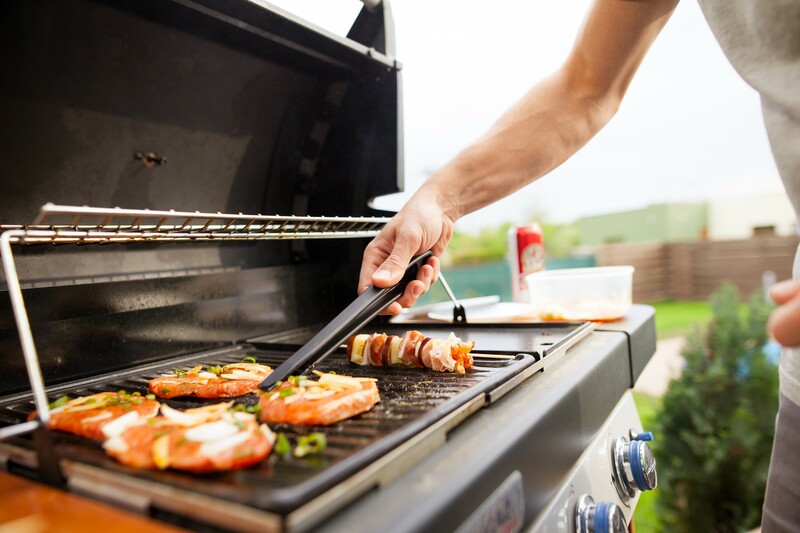 If your grill is not positioned out in the open, add insulated jackets and vent panels to make sure all fumes are appropriately redirected. No outdoor kitchen is complete without stylish, spacious room and dining areas. While you can get by with basic patio furniture, consider upgrading with bar stools and bar height counters, fire pits, or patio heaters to keep your guests nice and cozy. Similarly, you can’t predict the weather, and there’s a chance heavy winds or rain will set in during your next outdoor dinner party. To prepare for this, add task lighting and overhead shelter. Inexpensive grill lights will allow you to see what you are cooking, while umbrellas or overhangs will keep everybody nice and dry in poor weather. Just make sure you keep your grill out in the open or instead vent hoods to keep everybody safe. You don’t need to rework your entire outdoor landscape, but consider adding some additional greenery to make your new kitchen really pop. Plant in containers that match the color scheme of your outdoor kitchen and this will give you added versatility for multi-seasonal landscaping. For a more functional option, consider planting some herbs in containers that you can rest on or around your countertops. This will give you a fresh buffet of herbs to choose from while preparing your outdoor meals. Before you add any of these stylish additions, make sure you first have the logistics of your outdoor kitchen thoroughly mapped out. Take note of your available space, and ensure that you have enough room for all of your kitchen essentials. 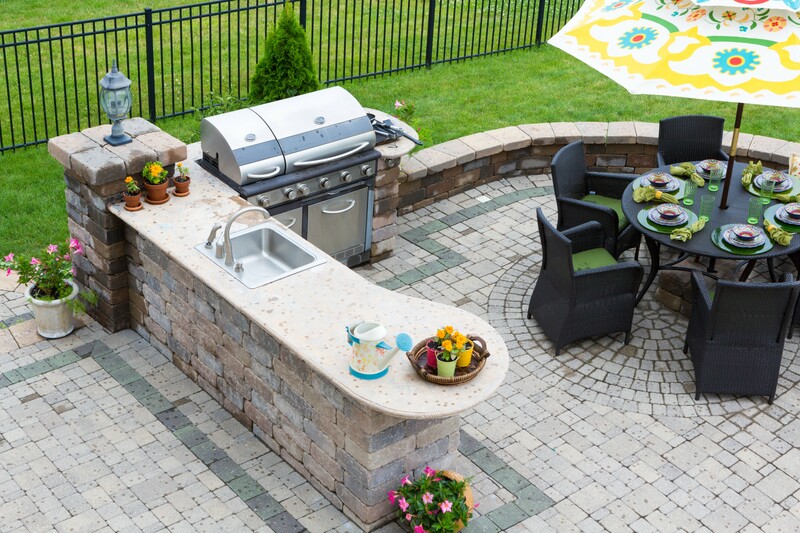 Keep in mind that you can design your outdoor kitchen around existing features, like a pool, hot tub, or even a covered deck. Your options are limitless, and with a little bit of creativity, you can turn even the most boring of backyards into the ultimate space for entertaining your loved ones.